• Updated 10/30/2010 9:30 AM PDT for the alternative Microsoft Cloud Accelerate program (see end of post). Note that the existing MSDN Subscriber benefits were extended by eight months on 10/25/2010 (see the article in the Live Windows Azure Apps, APIs, Tools and Test Harnesses section of my Windows Azure and Cloud Computing Posts for 10/25/2010+ post. Note that the availability date has been updated from 2011H1 to 1/7/2011, but BPOS hasn’t been updated to Office 365. 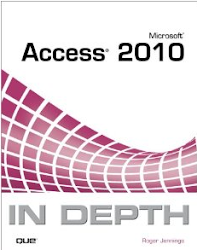 The Office 365 licenses should be of interest to Microsoft Access 2010 developers (and users) who want to host multiuser Web Databases on SharePoint Server 2010 in the cloud or upsize an Access database to SQL Azure and link it to an Access front-end. Business Connectivity Services (BCS) are scheduled for release in Microsoft FY 2012. PowerPivot connections to external services is targeted for release in FY12. The sign-up process for existing Microsoft Partners (such as me) wasn’t working this morning “due to high demand.” When it resumes operation, I’ll update this post. This screen’s designers should have hired a proofreader: see “competncy” and “Compentency” [sic]. This article was originally posted to the OakLeaf Systems blog on 10/30/2010.